Usage : Home, Office, Industrial etc. 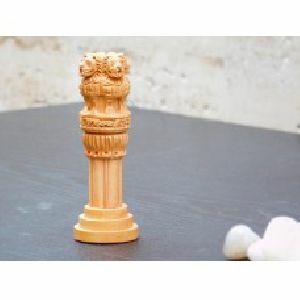 Here, Wooden Ashoka Pillar Home Decor Gift Item National Emblem of India... 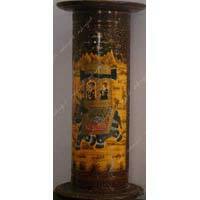 It Can Be Used For Decoration Of Home.. 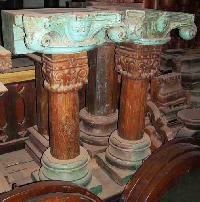 Available with us is this Antique Pillars that is widely reckoned for fine finishing and appealing looks. 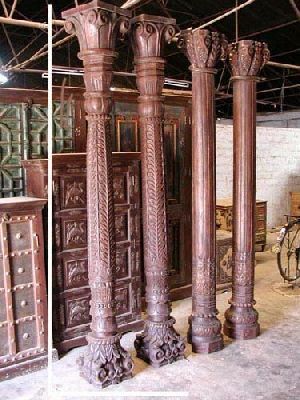 Designed by talented artisans, this Antique Wooden Pillars is a perfect choice to decorate the interior in a classy manner. 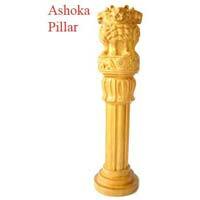 Contact us for obtaining Wooden Ashoka Pillars in bulk and at inexpensive rates! 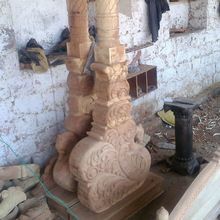 We are the noteworthy Manufacturer, Exporter and Supplier of intricately designed Wooden Ashoka Pillars in Uttar Pradesh, India. 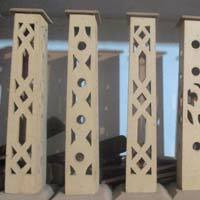 For the manufacturing of these pillars, we make use of high quality and termite-free wood. 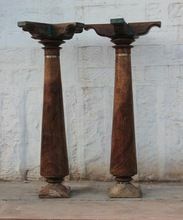 Crafted with perfection, we offer our Wooden Ashoka Pillars in different designs. 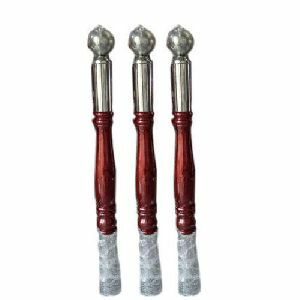 Moreover, we ensure prompt delivery. 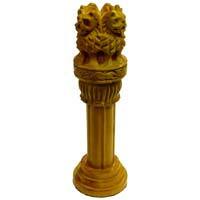 We make the replica of Ashoka Pillars which are manufactured using wood. 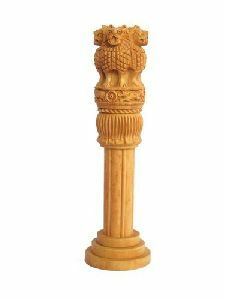 Since the day of our inception, we are engaged in supplying Wooden Ashoka Pillar and offering the same at competitive rates. 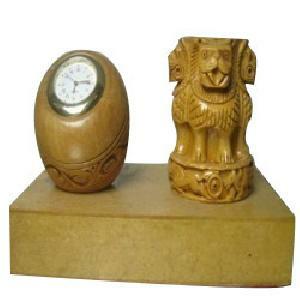 Functioning efficiently from Varanasi(India), we are known for bringing forth quality products at competitive price. 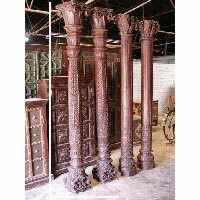 Our range of Antique Wooden Pillars is very diverse with an eclectic selection from pieces that are decades old. 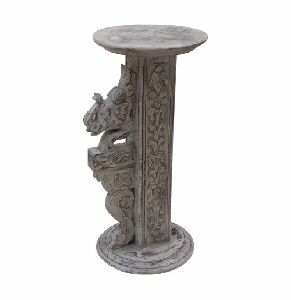 These lovely pieces were constructed for strength & reinforcement and at the same time look very appealing & attractive. 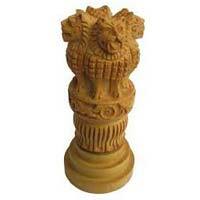 We are one of the prominent Manufacturers, Exporters and Suppliers of Wooden Ashoka Pillar in India. 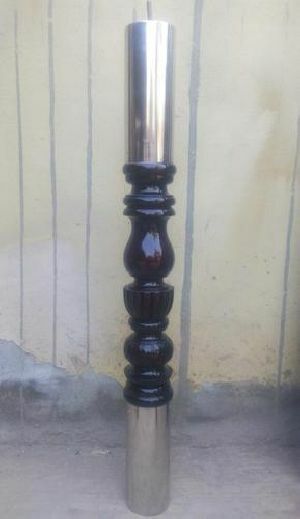 Our clients can avail from us a mesmerizing range of Wooden Ashoka Pillar that is artistically created using termite-proof wood only. 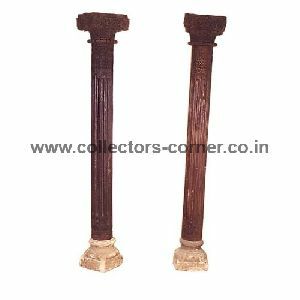 Available in various designs, shapes, patterns and sizes with attractive colors, these Wooden Ashoka Pillars are offered at most competitive prices. 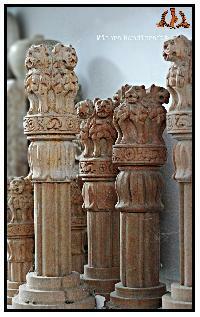 An Exceptionally Enthralling Collection of Wooden Pillars is Prepared By Our Adroit Team of Craftsmen. 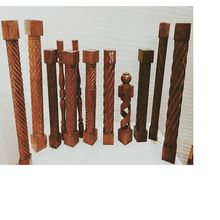 Our Wood Pillars are Forming Part in Classy Decors. 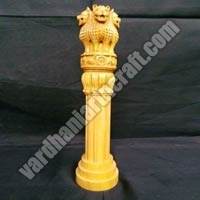 Our Wooden Pillars are Highly Economical as Well. 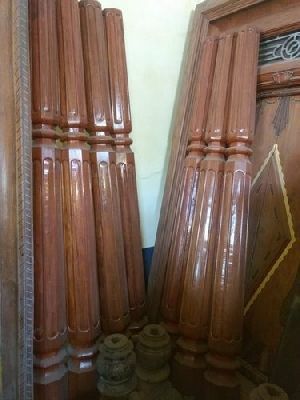 Wooden Pillars are kept in the corners of the houses, offices, hotels, restaurants etc. 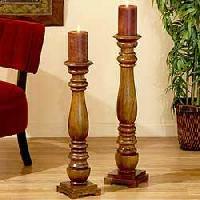 We are enlisted among the reputed Manufacturers and Suppliers of Wooden Pillars from Uttar Pradesh, India. 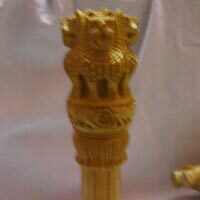 The best thing about our Wooden Pillars is that they are crafted using high quality that adds durability to them. 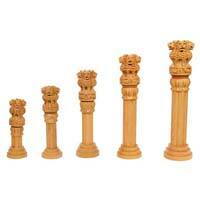 To cater to the extensive demands of the customers, we offer Wooden Pillars in bulk quantities. 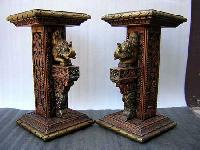 We offer Wooden Ornamental Pillar having ethnic design and etched craftwork in detail. 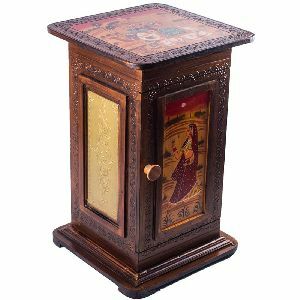 Designed to last for a long time, the Wooden Ornamental Pillar has an elegant appearance that brings back the beauty of royal times.